Diamond alternatives don’t necessarily mean the gumball machine ring variety. In fact, these conflict free gems are really something to take a closer look at. Man-made diamonds, also known as lab created diamonds, are grown in highly controlled environments that mimic the natural process that diamonds go through. Don’t get these confused with moissanite or cubic zirconia, though. 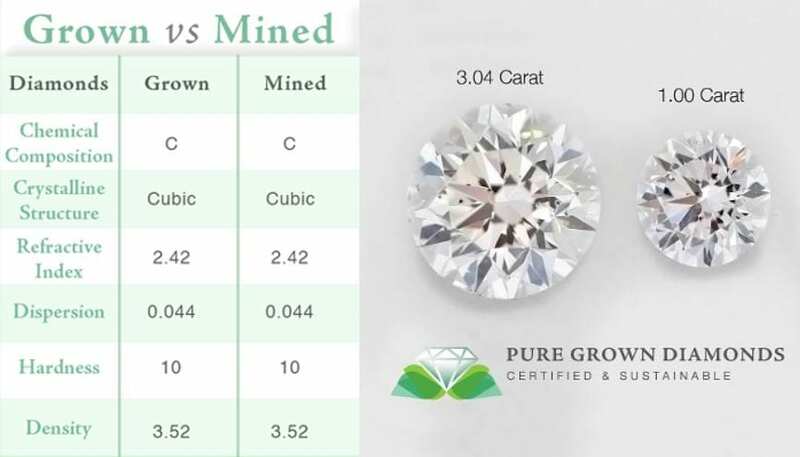 Also known as diamond simulants, moissanite and cubic zirconia do not possess the carbon atoms that man-made and naturally mined diamonds do. Eco Friendly- no need to have guilt or questions when you stare down at your sparkler. Lab-created diamonds have a minimal environmental impact and are ethically grown. Most are grown in first world countries, and quite a lot can be found right here in the United States. Beauty and Rarity- your lab created diamond will be just as show stopping as a natural one, if not more. These gems “have the same physical, chemical, and optical properties as mined diamonds”(Mia Donna). They are made from 100% pure carbon just like real diamonds. Since the environment is so controlled, diamonds can be manipulated and enhanced. Colored diamonds are even an option ranging from yellow to purple. 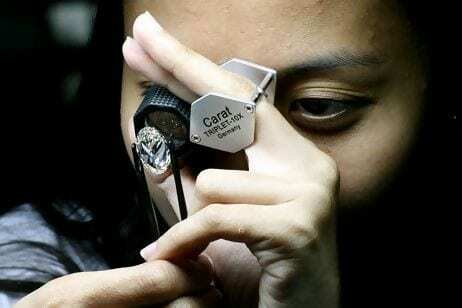 Value- Lab created diamonds are about 40% less expensive than an earth-mined diamond. Therefore, the principal of getting more (a bigger or desirable cut or color) can be executed within your budget. A couple of sources to buy these precious rocks are Mia Donna, Brilliant Earth, and Diamond Nexus. 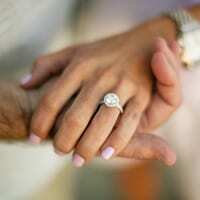 Due to the physical, optical, and chemical make up of man-made diamonds, no one will be able to tell the difference. That is unless you want to brag about your ethical, environmentally friendly diamond. After all, a diamond is a girl’s best friend… natural or lab-created!